While financial services institutions have been able to collect huge volumes of data on customers and their behaviours, they need to turn to new technologies and strategic partnerships to improve internal processes and customer experiences, in order to successfully monetise this information . Historically, these organisations have focused on transactional data, such as deposits, withdrawals, transfers, etc., and these continue to grow as people switch from having to visit physical branches to using more convenient digital channels. With an increasing focus on the relationships and user experience, they now also need to keep track of customer engagement across multiple channels, from branch visits, to social media and interactions with a call centre, so that a seamless and personalised service can be provided. But, do they have the infrastructure and architecture to do this? The challenge for financial services organisations is that they have traditionally dealt with each new requirement as a new system; if they want a mobile app, they create it as a standalone, without giving thought to the kinds of information that it can collect, and how it can be used to enhance other parts of their business. The key to pulling all this disparate information together is cloud computing, though adoption by the financial services sector continues to lag behind other industries – mostly due to misconceptions around security and regulatory compliance, as well as resistance from individual internal IT groups. It shows that more needs to be done to differentiate between public and private clouds; it is not about a specific provider or vendor, but about the infrastructure and architecture that gives you the ability to automate operations, and to be able to flexibly use computing, storage and networking capacity as required at that time. 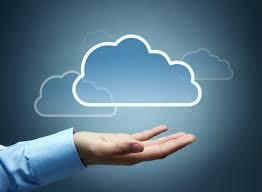 This means that organisations can have the cloud, on premise. By unifying disparate systems and gaining a holistic view of their customers, financial services companies can leverage big data analytics, machine learning and artificial intelligence to create accurate customer groupings and provide them with highly personalised product and/or service recommendations and more, rather than relying on generic marketing and cold calls from a call centre. There’s a lot of new possibilities for finservs that are enabled through the IoT, e.g. an insurer or a truck leasing company can use tech in terms of asset tracking, not only giving the ability to ensure the safety of their investment, but also to be able to use this tech to provide new services to their clients. This can include services such as routing, load balancing and planning etc. a lot of opportunities when have all this info and can leverage it in different ways. More financial services institutions are starting to realise this, with research from the IDC showing that worldwide spending on industry cloud in the finance industry (banking, insurance, and securities and investment services combined) is expected to more than double from $3.2 billion in 2017 to $7.2 billion in 2021. Apart from purely improving the customer centricity of the organisation, there is also a growing requirement for data mining at a massive scale to inform real time business decision-making, and even fraud detection. There are two main ways in which financial services institutions around the world have approached this problem: the first is to try and address the challenge internally – this has often yielded poorer results, as traditional organisations lack the capacity, skills and agility to stay at the forefront of innovation; the more successful method has been to either partner or acquire a fintech that will give them access to new capabilities. The danger for financial services institutions that fail to digitally transform, and adopt new technologies, is that they become an organisation where money is simply stored, with the user engagement and actual transactions taking place on another platform, be it through social media, instant messengers (eg. WhatsApp or WeChat), or mobile money applications. There will no longer be brand recognition or loyalty toward the financial institution; people don’t care what bank is being used by the service, as long as it works. The IDC paints an even starker picture: banks that don’t transform will simply perish over the next decade.